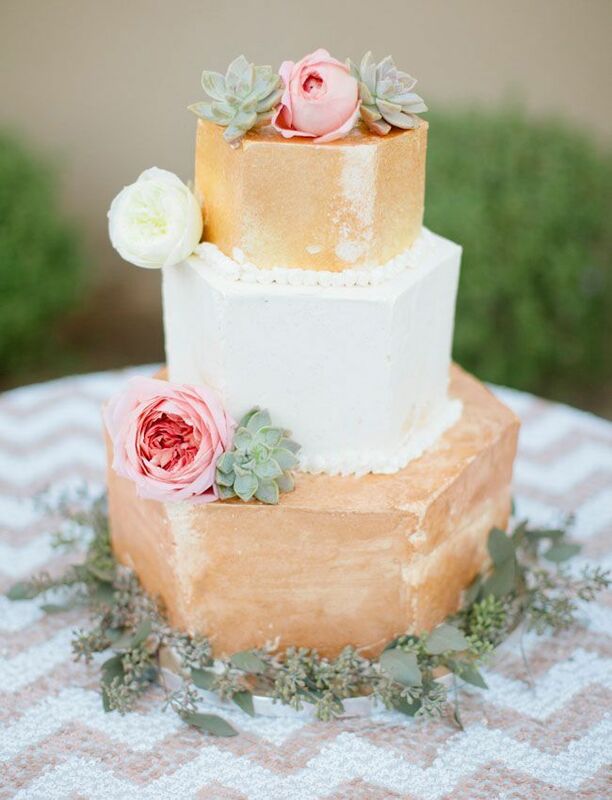 Romantic, peachy, rose gold wedding theme inspiration board. Feeling ambitious? 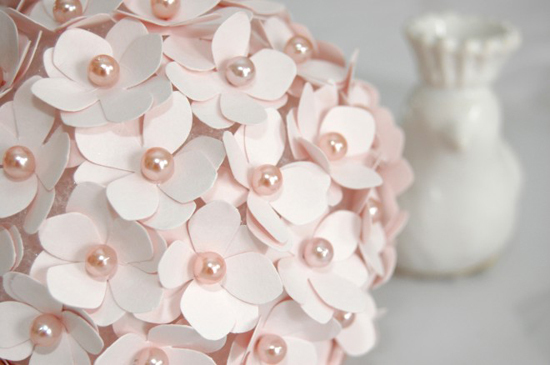 This is a great and easy tutorial for a cute pomander flower ball! 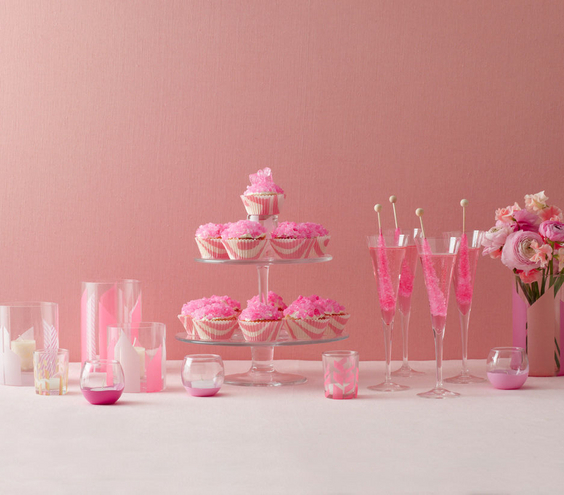 These would make great decor for your wedding/bridal shower tables! Follow the tutorial here. How beautiful! Finally, a return stamp address that isn’t boring! Our favorite this week is this custom return address stamp by Yes Ma’am Paper + Goods. 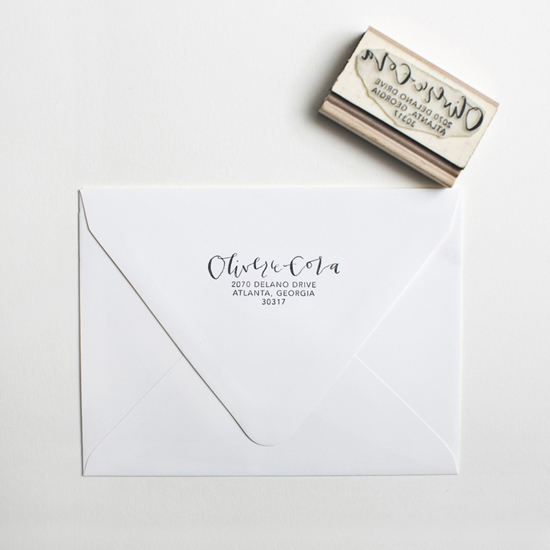 From the custom hand lettered names to the pretty black handles, these stamps would make it easy on any invitation or rsvp envelopes – or would make really nice gifts for your loved ones too! Find out more here! 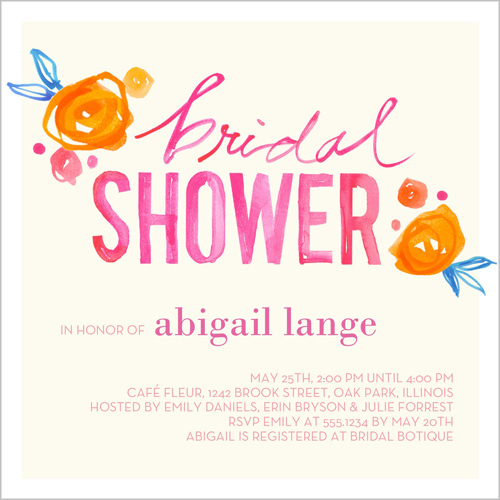 How pretty is this purple and peach wedding invitation suite? 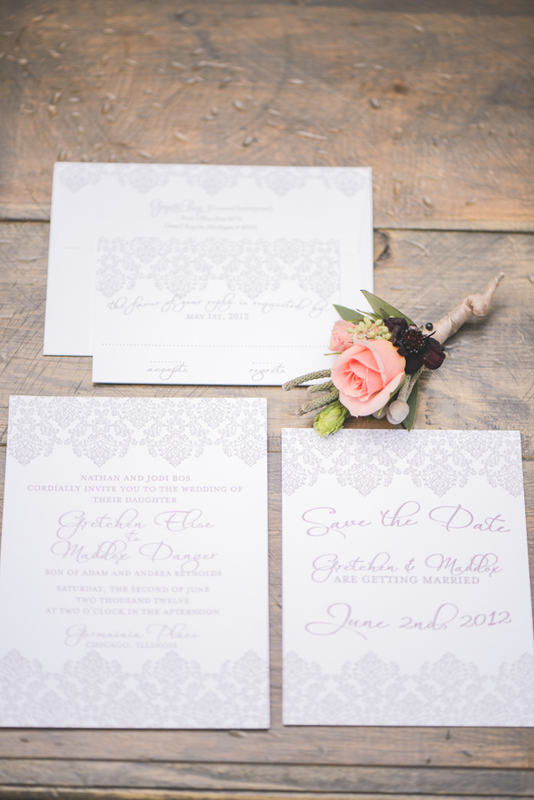 With the intricate pattern on the borders and the light shade of purple ink on white, I’m loving this romantic look! Take a look through the rest of the gallery for this wedding inspiration shoot here! Exploring the romantic color of wintergreen, here is a mood board of different bouquet ideas that would look beautiful in a winter wedding! Love the natural faded look of wintergreen along with the long draped look of the leaves/sprigs. 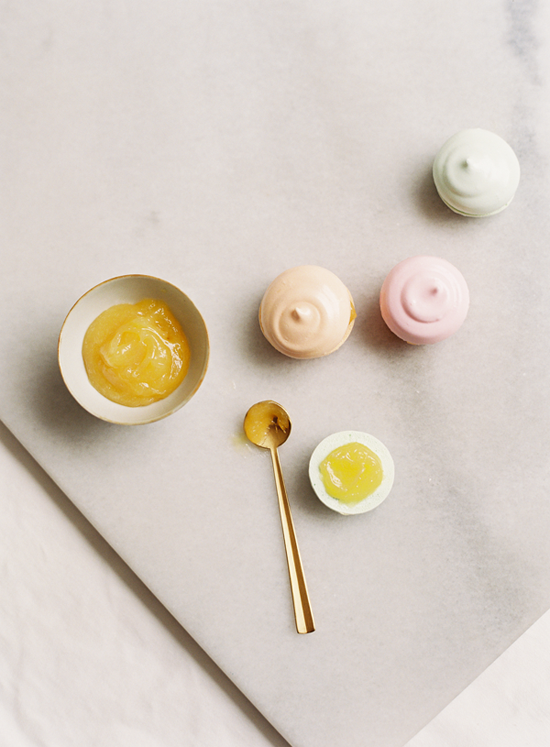 Want to create your own beautiful dessert favors? Here’s the perfect recipe! These cute meringue sandwiches are colorful and deliciously sweet! Get the whole recipe here! Enjoy. Our favorite for this week: Froufrou Chic Silk Ribbon! 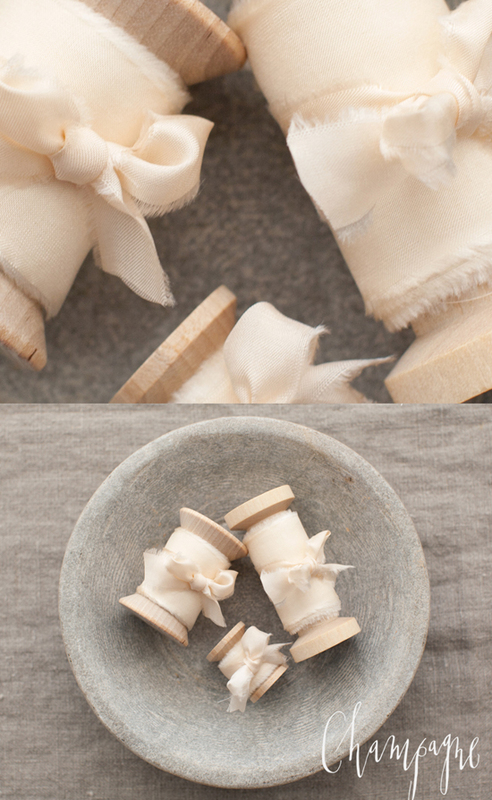 Their hand finished ribbons have the softest edges – gorgeous! You can use these silk ribbons for your bouquets, hanging decor, tablescapes and more. Take a walk through their gallery of beautiful colors here! How cute! 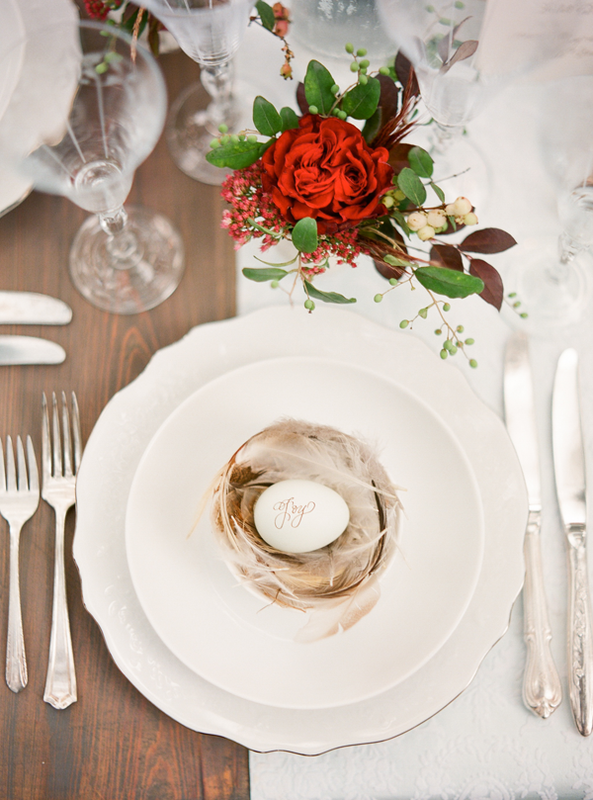 A simple and pretty idea that can act as a place card and decor! Ceramic eggs or paper maché eggs could also act as favors! 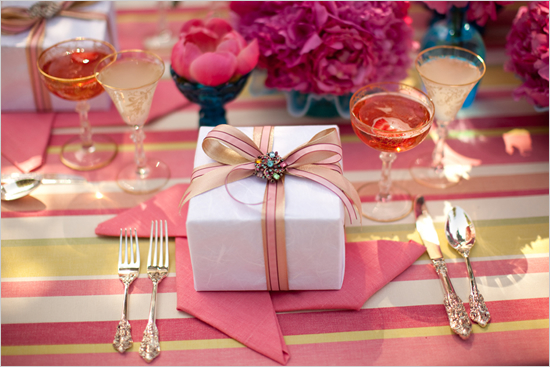 See the rest of the gallery for this beautiful dinner party here. This week’s inspiration board: Black Swan. Not only does this theme push the boundaries of the typical wedding colors but also adds a very romantic and theatrical feel! The Black Swan exudes confidence while staying composed and elegant. Hope this theme board sparks your imagination! Enjoy!